INCA Internet's Emergency Response Team's official blog. 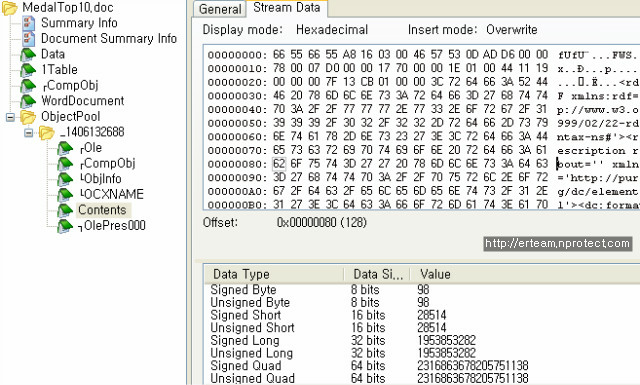 : [Warning] Malicious files using CVE-2012-1535 exploit are booming. [Warning] Malicious files using CVE-2012-1535 exploit are booming. INCA Internet response team detected various malicious files which are using latest security hole on Adobe Flash Player in overseas web site. These malicious files have been found since August 13, 2012, and Adobe Systems released security patch for CVE-2012-1535 on August 14, 2012. Because attacker have created and spread malicious file such as normal MS Word DOC file, maintaining latest security update is the most important for being safe. Besides, there are a lot of Flash Player exploits in these days, therefore; we recommend users install latest official security update. This vulnerability has been shown on Adobe Flash Player 11.3.300.270 or lower. 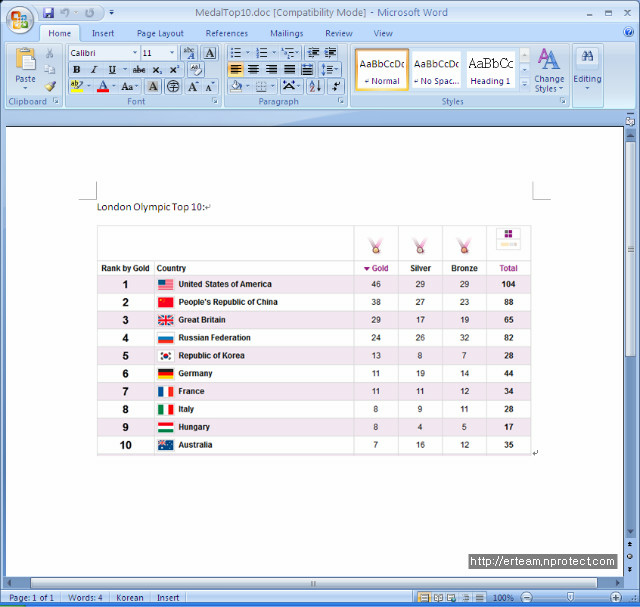 This is spread with disguised as a MS Word file. INCA Internet response team has collected various variants and provided our AVS for treatment. Malicious file is inserted on Word file as a SWF format which can download and install additional malicious file on certain web site. In case of malicious "MedalTop10.doc", if infected, it shows following screen and accesses to certain web site. And then, it downloads compressed file and installs named help.gif(compressed file). 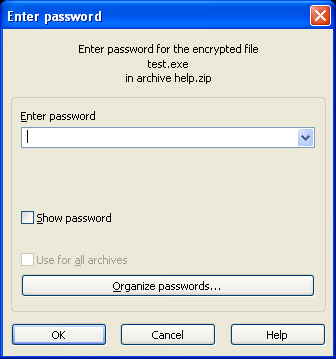 GIF file is modified its header as image file, however; this is ZIP type file and protected by passwords. After removing modified 6 bytes, this program is as following. Decryptable password is "password123". After decrypted, you can find it contains malicious test.exe. Various variants have been found so far, and these files are spreading via social engineering technique. So, users are strongly recommended maintain latest security update. 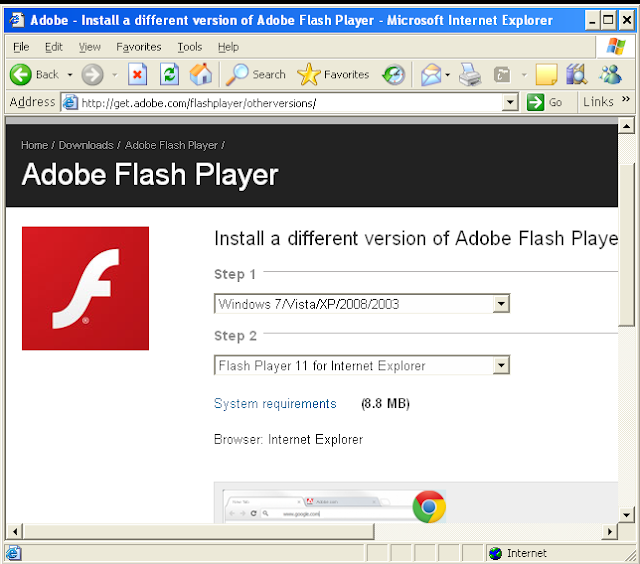 To update Adobe Flash Player product is the best way to keep your PC safe from malicious files. nProtect Anti-Virus/Spyware v3.0 diagnoses and treats various variant files. Primary, Carpets, Home windows, Move Out Cleaning. Cleaning providers charge clients for his افضل شركات تنظيف الاثاث بالرياض or her services in a wide range of methods.professionally cleaned many business and properties from Sports Clubs, offices, to student lodging. Our skilled فني مكيفات بالرياض home amid will totally clear each nook and crane of your property based on your wishes or personalized cleaning plan. Get much more interesting and useful information at this site, guys. There's a lot of really genuine educative materials! Hi, I am a marketing manager at All Assignment Help; it is an online platform which offer Online Assignment Help for all university students. We have a team of professional writers & provide best solution according to given guideline. Giaonhan247 chuyên dịch vụ ship hàng trung quốc giá rẻ cũng như giải đáp alibaba là gì, chia sẻ các web mua hàng giảm giá ở mỹ hay web order mỹ phẩm hàn quốc uy tín cũng như các trang web order hàng hàn quốc và giải đáp mua hàng trên amazon có tính thuế không cũng như các trang web bán hàng online nổi tiếng thế giới nước Đức. شركة مكافحة حشرات بالرياض http://tiny.cc/zuph5y للحشرات تعاني كل ربات البيوت من مشكلة تكاثر الحشرات ووجودها بشكل مستمر في المنزل، مما يسبب لها الكثير من القلق والإزعاج ويضعها في العديد من المواقف المحرجة أمام ضيوفها فبالرغم من نظافة المنزل ولكن عند وجود الحشرات أمام الضيوف يشعرها بأن المنزل غير نظيف، كما أن الحشرات تحمل الكثير من البكتيريا والجراثيم العدوي الفيروسية التي تسبب الأمراض .